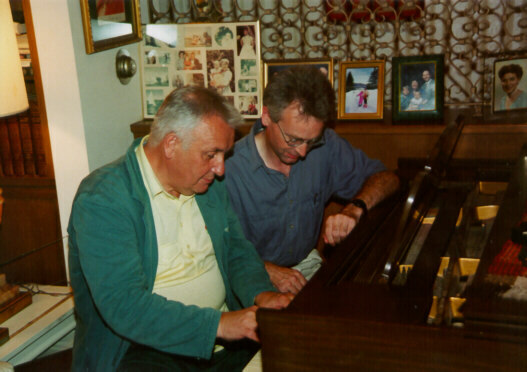 Here’s a photo taken in October 1997 (during the ‘Górecki Autumn’ festival in Los Angeles) in the house of Stefan and Wanda Wilk, the founders of the Polish Music Center at USC. I think he was trying to teach me a góral version of Chopsticks. A happy memory to soften the realisation that today is the third anniversary of his death. I also wrote a post on this day in 2011: Song of Joy and Rhythm.